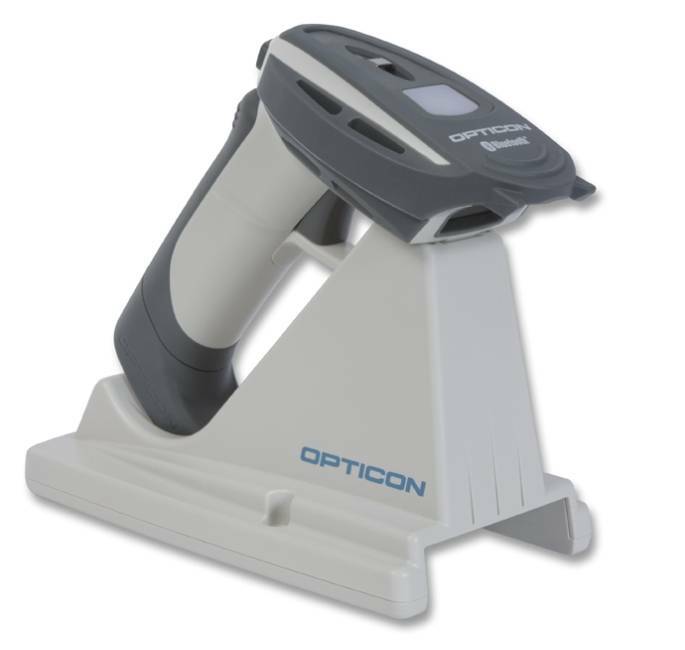 The rugged Opticon OPR3101 is an ergonomic yet lightweight laser scanner using Bluetooth to communicate with other devices. This wireless device scans aggressively, delivering reliability and durability in harsh, dirty or extreme conditions. The rugged housing of the Opticon OPR3101 is sealed to IP 54 standards and holds up well in environments where water and dust resistance is required. The OPR3101 withstands multiple drops up to 2 meters onto concrete and features a trigger guard to prevent accidental scans. The ergonomic grip provides the user comfort during the day. The OPR3101 uses the widely available and reliable Bluetooth wireless communication protocol which allows the scanned data to be instantly transmitted to any Bluetooth capable device. Scanned data is stored on-board the OPR3101 in case the Bluetooth receiver moves out of range or is temporarily unavailable. This prevents data loss as well as loss of retracing time, contributing to continuous mobile working.